This was my first venture into the writings of Jenny Maxwell. I am very glad that when Netstation sent this book along, he sent others as well. I should like to see if the skill with which she wove this tale holds up. Not a complex story, but full of complexity of character. I liked that Ann and Glory, so different, are each so strong in their own right. Not a pretty story or neatly packaged ending, which I greatly appreciated- darkness seldom suddenly turns to light. That's what the dawn is all about- a transition. I did not know what to expect from this book and originally felt I would enjoy it, but it would be hard going. I was very wrong and as soon as I saw the Children of God cult mentioned on the inside page, I knew there was real potential. I was hooked after a few chapters. Without spoiling anything, the story is exciting, heart-wrenching and will have you on edge - all at once! It's a new favourite of mine and I strongly recommend it. I really loved this book. There are 2 more books that follow this one but I loved this one the best. I originally borrowed it from my local library. I wish I had my own copy so I could read it again! I recently bought this book because I was primarily attracted to it by the title. I am really interested in anything to do with blacksmiths and forges (seriously!) and have been for a while (this is because I've been researching a lot about blacksmiths for my own series of books.) I was even more intrigued by this book when I read, on the back, that the blacksmith was female! I thought that was really great. And why ever not? I'm sure there are many fine female blacksmiths out there! I'm really glad I gave this a chance. I haven't ever read any of Jenny Maxwell's books before so am really new to her writing. I really enjoyed it. It was quite dark in places and very exciting. When it was revealed what the Children of God were REALLY up to, I was really surprised (but in a good way, insofar as the surprise can be good given the subject matter. I didn't guess it, anyway.) I really loved how this book was written. There was a nice flow to it, that seemed natural, rather than these odd, annoyingly stilted sentences some authors employ. I also liked the characters a lot, too. I'm looking forward to reading this again another time and I'm also hoping to get more of Jenny Maxwell's books in the future. My best friend bought me this book years ago. 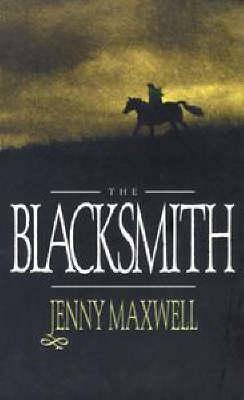 I came across it again during a recent house move and remembered really liking it, but couldn't remember much of what it was about, other than a female blacksmith (A career I'd briefly considered myself). so I decided to read it again. I wasn't disappointed, it's a fantastic life-affirming story of one woman's success when the deck is stacked against her, and her courage and determination. I love it. Putting it back on the shelf now but I've no doubt I'll read it again. I enjoyed this book. Good plot, interesting characters and some great descriptive writing - but my gum it took time to get going. I ploughed through the first 75 pages as the main character was interesting but the plot was absolutely dire and I was on the point of giving up when finally things began to move. Once that happened it was a great read. This was a good first-person story about a girl who grows up very tall (6'6")but is always put down by her mother, naturally leading to low self-esteem. Her blacksmith uncle taught her his craft, and she realized that this is the life she wanted. Hmm it was ok, a relaxing read. A little slow to start , there were lots of unanswered questions and the characters were a little predictable but ok. I did like the story idea though , it just missed the mark for me , but pleasant enough. This book was fantastic. I loved the characters, the setting, the story. It was captivating and suspenseful and wonderfully written. Not my usual genre choice and don't feel like this one.